Brilliant. Wonderful voice and talked about the history of music. All the musician played different instruments and the cornet player excellent. Rhiannon sang Water Boy absolutely fabulous. Great night. An evening of fine musicians backing one of the best singers currently performing, bar none. Rhiannon’s grasp of musicality and her heritage makes for a powerful performance. She has the ability to make covers of others songs her own as well as writing and singing some of the best lyrics. Great voice, great songs, great music. Highlights were ‘Waterboy’ and ‘We could fly’, both showcasing her impressive vocals. I was in tears listening to the ‘fly’ song. Such an important and talented artist keeping the history alive. Never forget the great harm done in the past especially in these divisive times. A properly soulful voice, great songs, a tremendously talented band and a great sense of having a good time. Tremendous. 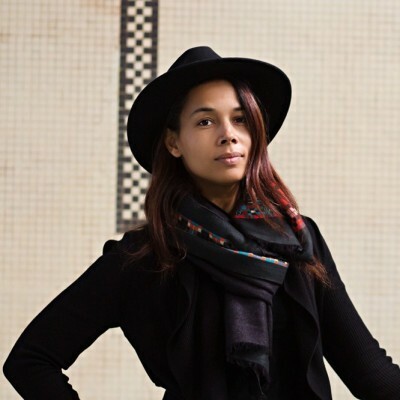 Following the release of her second solo album Freedom Highway, Rhiannon Giddens, singer, songwriter, multi-instrumentalist, and founding member of Grammy Award-winning Carolina Chocolate Drops, will tour the UK and Ireland this autumn, beginning with a concert at London’s O2 Shepherd's Bush Empire on November 17. Nonesuch Records released Freedom Highway to widespread critical acclaim in February. The record includes nine original songs Giddens wrote or co-wrote while she and her band toured after Tomorrow Is My Turn’s 2015 release, along with a traditional song and two civil rights-era songs, ‘Birmingham Sunday’ and Staple Singers’ well-known ‘Freedom Highway’, from which the album takes its name.